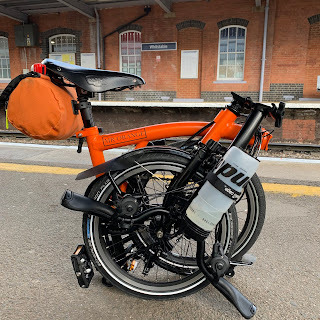 My Orange Brompton: Vampires at Kensal Green Cemetery on a Brompton! Not that long ago I thought to myself go somewhere different. Go somewhere mysterious and unusual - on a Brompton of course. I ended up in Kensal Green Cemetery, a location that was certainly out of the ordinary. I have written about a visit to Kensal Green Cemetery previously on this blog but felt that I didn't really do it justice. Kensal Green is in North West London on the Harrow Road. The nearest tube is Kensal Green (Bakerloo line). It was founded in 1832 and covers 72 acres. The cemetery is very well maintained with neat gravelled avenues and a neo-classical chapel almost at its centre. 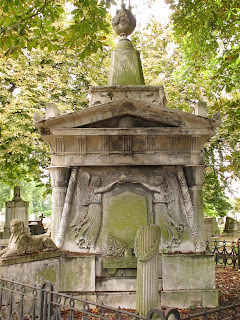 Many regard it as one of the finest Victorian cemeteries in the country, let alone London. 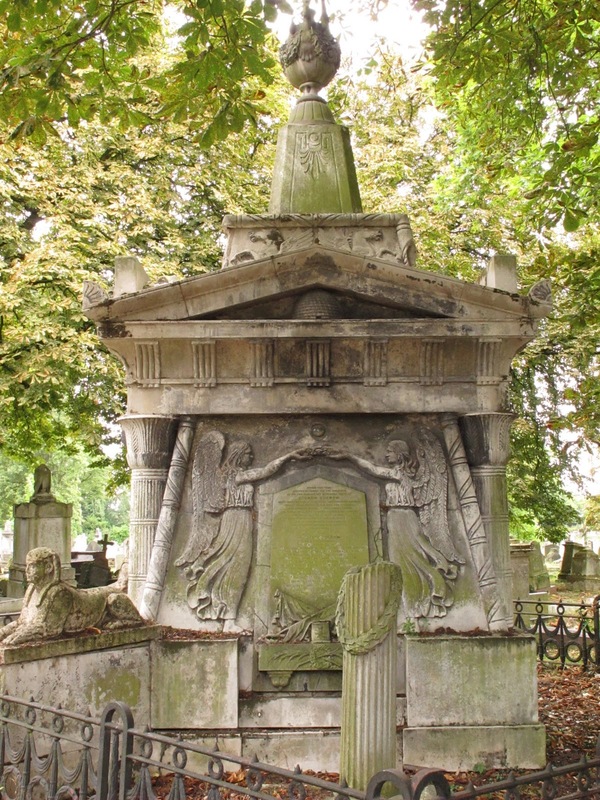 There are some very famous Victorians buried at Kensal Green. These include: Brunel; Thackeray; Trollope; Wilkie Collins and in the Roman Catholic Chapel adjacent to Kensal Green Cemetery Mary Seacole. Many of the graves, mausolea and monuments are breathtaking in their size, scale and detailing. We had the whole cemetery to ourselves and I have to say it looked very Hammer House of Horror. Very gothic to the extent I half expected to see Christopher Lee or Bela Lugosi creep out, only to have me trying to make my escape on my Brompton. Picture that if you dare! Just one of the incredible monuments. The four men on the posts stare at you wherever you stand by the way! There are tours of the cemetery every Sunday at 2:00 p.m. but if you are really brave you can have a tour of the catacombs on the first and third Sunday of each month. The £5 cost per person is very reasonable. The catacombs are everything you would expect catacombs to be and more. Dark, damp, dusty, scary and full of atmosphere. Coffins are set in tiers and our guide was very knowledgeable and made the hour or so fly by. You are not permitted to take photos down there. which is quite understandable but believe me you wouldn't want to just in case some of the people with you didn't show up on photos! Just imagine seeing this at night! Cycling isn't permitted once inside the cemetery but you will be so fascinated by what is on offer that is a small price to pay. We got there late afternoon and left about 10 minutes before closing. The arrival of sunset certainly set our paces racing. Those of a nervous or superstitious disposition, might want to take some garlic. Just in case! ?